Made with rounded tips to minimize gingival trauma, curettes are the go-to instruments for subgingival calculus removal and root surface debridement. 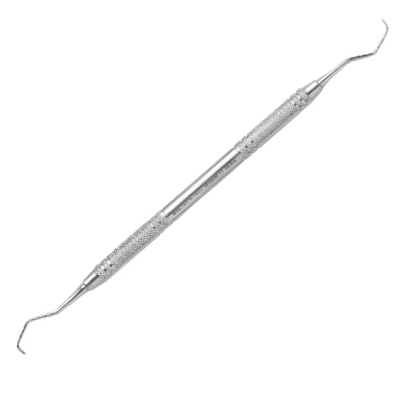 Universal dental curette instruments require only an anterior and posterior instrument for use on both mesial and distal surfaces, and have blades with two cutting edges. 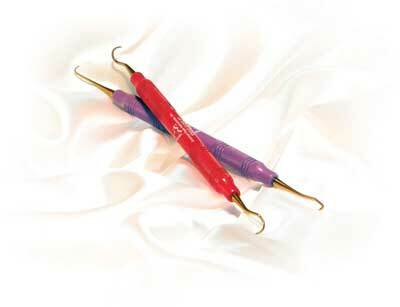 Site-specific (mesial or distal) Gracey curettes have a lower cutting edge and an upper non-cutting edge. 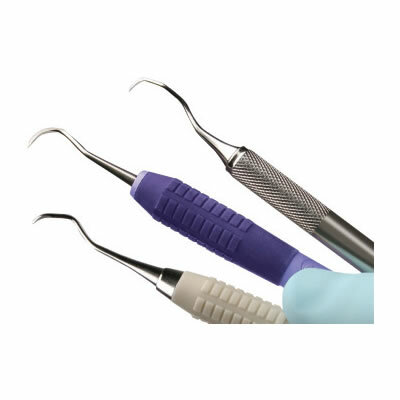 The sharp tips of scalers enable access to supragingival calculus and tartar in tight embrasure spaces. 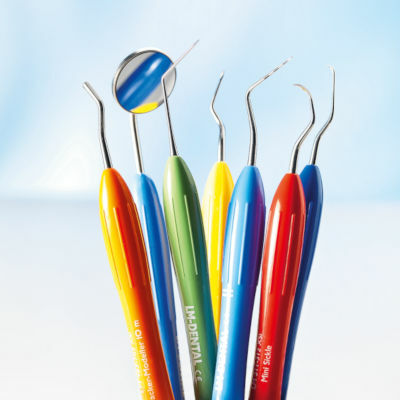 Hand-held scalers rely upon tactile identification of build-up, while power-driven instruments use a vibrating metal tip to chip calculus/tartar. Sonic scalers operate at 3,000 to 8,000 cycles/second via compressed air, with a rotor balanced between o’rings used to produce vibration. 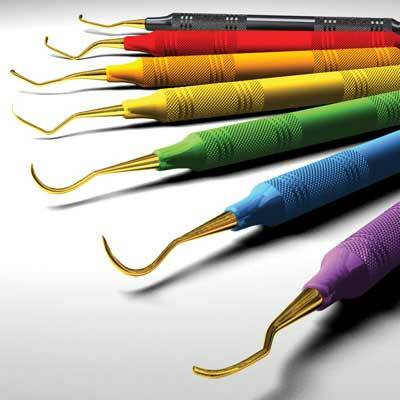 Magnetostrictive ultrasonic scalers operate at 18,000 to 45,000 cycles/second, with power generated by an electrical current passed over a stack of metal strips or a metal rod attached to the tip. Tip movement can be linear or elliptical, and all surfaces are active while in use. Piezoelectric units operate at 25,000 to 50,000 cycles/second via electricity passing over crystals in the handpiece. Tip movement is typically linear, allowing two tip sides to be active.